As my mom watched the Olympics, I asked her what I should paint? She requested a beach scene as she sang a song called, “The Girl from Ipanema”. I accepted the challenge and was taken back to my spiritual moment in the Bahamas this summer. As I read in some book, it says that when you fully intake and appreciate a beautiful scene in nature; you turn that moment into something creative. … with ❤ from Nassau now has 2 poems, and a painting! 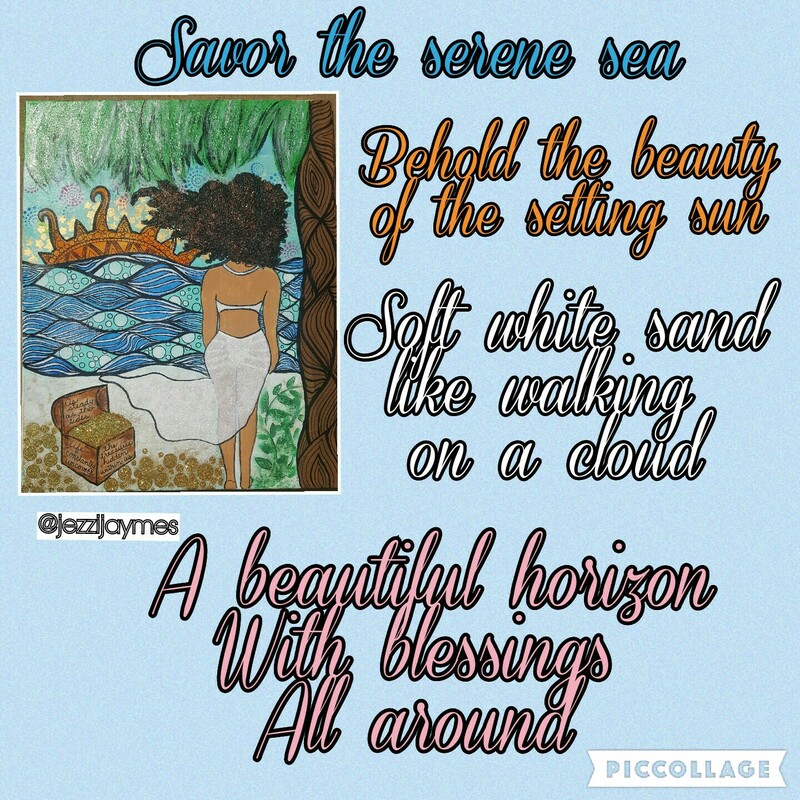 This entry was posted in Creative Showcase (not for sale), Journal Entries, Visual Poetry and tagged African American, afrocentric, art, Bahamas, beach, landscape, painting, peaceful, poetry, serene, spiritual, zentangle. Bookmark the permalink.